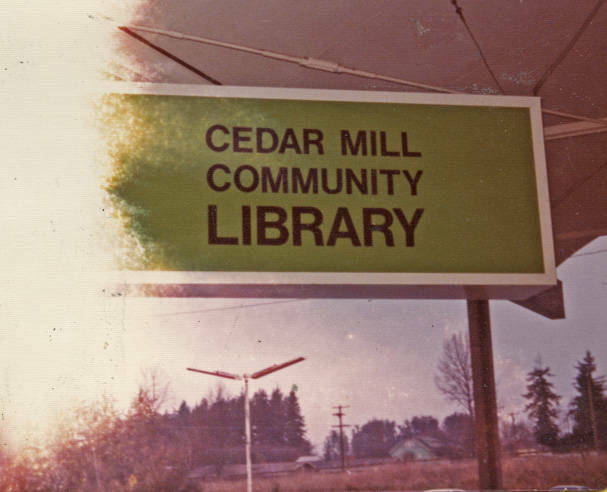 Library sign hangs under the portico roof of the new library in the Bales Thriftway shopping center. View is looking north across parking lot and empty land with houses with buildings in the distance. Image was damaged by newspaper clipping pasted over it in scrapbook.